I can’t give durability 5 stars as i haven’t had it for long but it’s great. Product Description, Space-saving design. 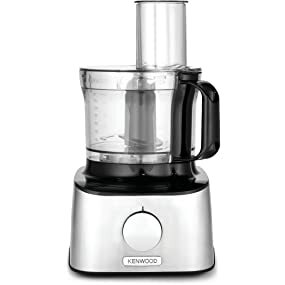 Rather than taking up space on your worktops with a separate food processor and blender, the Multi Pro’s processor and liquidiser can both be used on the same compact base, thanks to Kenwood’s unique Dual Drive system, saving a whole lot of space on your countertop and in your cupboards. Versatile food processor. 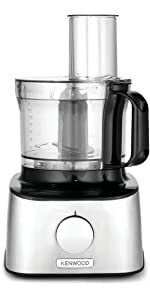 A whole host of accessories make the food processor part perfect for chopping, puréeing, mixing, kneading, grating, slicing, whisking and grinding:2.1 litre glass bowl – graduated up the sides, with a 1.2 litre working capacity. Stainless steel knife blade – for chopping meat, veg, nuts, making dips or fruit purées and even for making breadcrumbs. 2 reversible grating/slicing discs – with one for thick slicing/coarse grating and the other for thin slicing/fine grating, these quickly process hard veg and cheese or slice softer vegetables like cucumbers and tomatoes. Extra-fine grating disc – ideal for grating Parmesan. Dough tool – blends and kneads bread and pastry mixes. 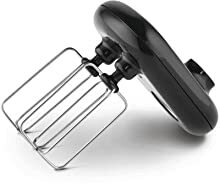 Whisk tool – makes really light work of whipping up cream, egg whites or mayonnaise in less than a minute. Multi mill – grinds nuts, spices and herbs. Liquidiser for soup and smoothies. 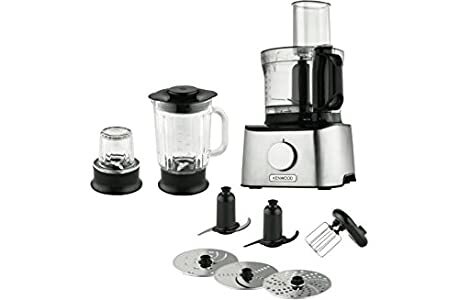 Using the same powerful motor as the food processor, the Multi Pro only takes about a minute to blend up to 1.2 litres of soup or smoothies in its graduated glass liquidiser jug. 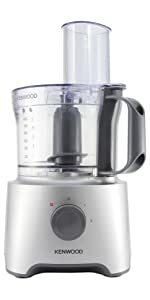 Powers through the prep The brushed stainless steel base houses a powerful 800W motor that’s really simple to use and gives you the control you need – select one of two different speeds or the pulse setting at the turn of the dial.2.1 litre mixing bowl (1.2 litre working capacity). 1.2 litre liquidiser jug.20 x 23 x 36.5cm H. 4.8kg. Flex 120cm. 800W. 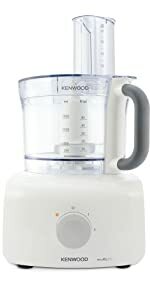 The FDM30 series is Kenwood’s latest offering to the compact food processor market, it has a sleek metal yet durable design and comes with a variety of attachments, ideal for the space saving consumer or start up cook. 2.1L capacity with a working 1.2L capacity. 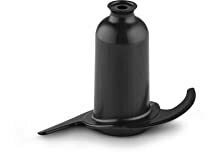 Glass liquidiser with a 1.2L capacity. 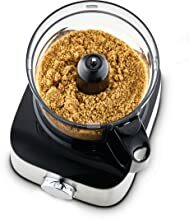 Perfect for grinding nuts and herbs. Designed for egg whites and light creams. 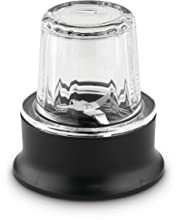 Made for kneading of bread and pastry mixes. Thick slicing/coarse grating and thin slicing/fine grating disc.